UMC ammo has been around since 1867, when the Union Metallic Cartridge Company was founded. Remington acquired them in 1912, and currently produces ammo under the UMC name in Arkansas. 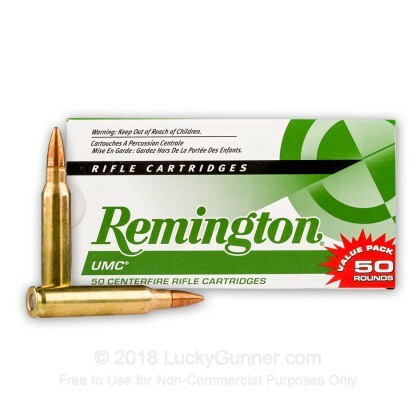 I shot some Remington UMC 223 ammo, with a 55 grain metal case bullet. It's basically the same thing as a full metal jacket, meaning that the bullet has a lead core and a copper jacket. There's no steel in the bullet and it won't attract a magnet. The case is brass and reloadable. There's no crimp on the primer, which means that it's easier to reload. 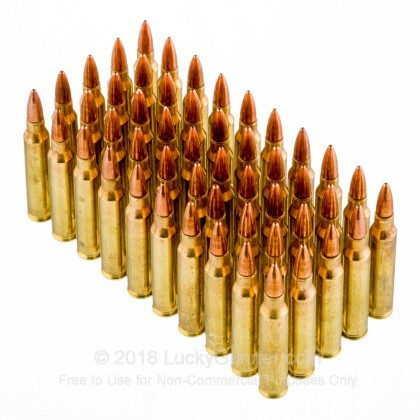 This particular load comes in a 50 round box, which is nice for a couple of reasons. First off, you don't have to open as many boxes to get to your ammo. Also, when you're done shooting, you can use the box to carry at least a hundred empty cases. Some 223 ammo is loaded pretty light, which means that it won't cycle AR-15s that are set up to have less recoil with higher power 5.56 ammo. I was pretty happy to find out that this UMC ammo functioned perfectly in each of the ARs. Of course, it worked well in the bolt action rifle, too. I chronographed the ammo and found that it was loaded consistently. In other words, the velocity for each round was very close to the all of the others. That's important not only for accuracy but also function. When you combine that with the fact that this is made in the USA by a company that's been making ammo for almost 150 years, and that it's very easy to reload, UMC 223 becomes very attractive. 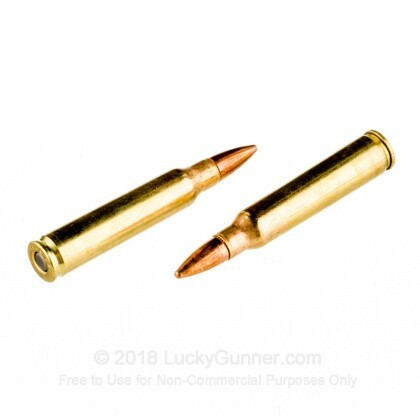 Bright, clean quality ammunition, zero function issues, great bulk pricing. 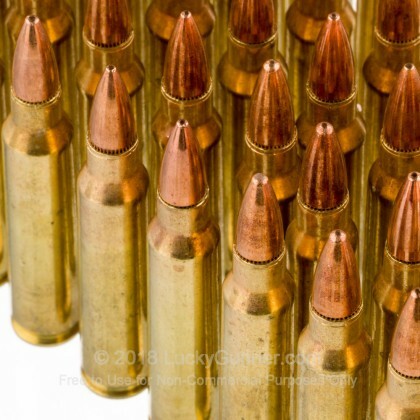 I was completely satisfied with the quality of the ammunition shipped. I saw no damaged cases, and all components appear to be highest quality. 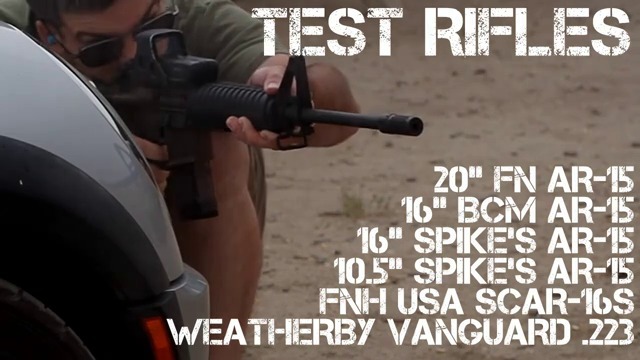 I've experienced no malfunctions in my Ruger SR-556, and the accuracy is consistent with my ability to hold on target. I recently used this ammo for a defensive rifle class. This was a great value! Was shipped fast and the ammo performed very well! 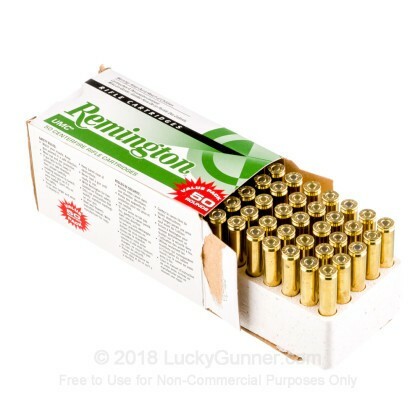 I really like buying in bulk from Luckygunner.com! 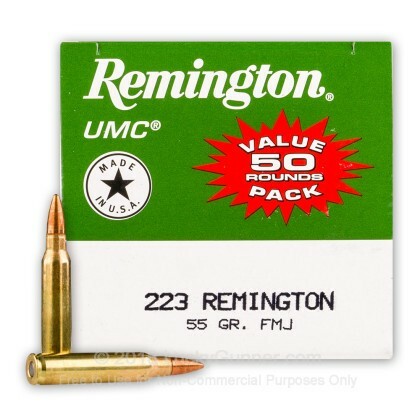 We also have this 223 Rem - 55 gr MC - Remington - 50 Rounds ammo in stock in a smaller quantity.